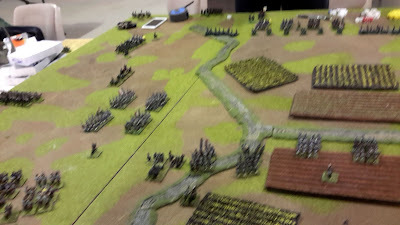 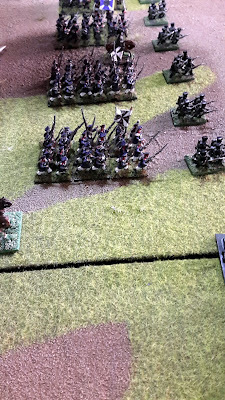 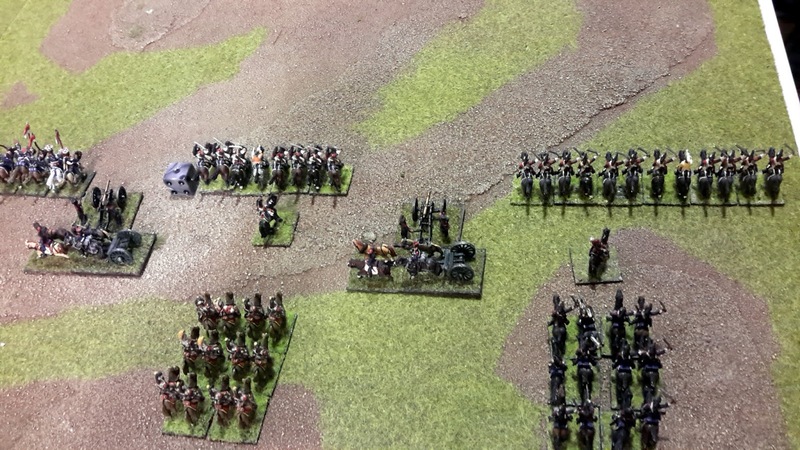 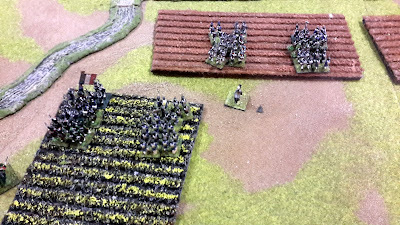 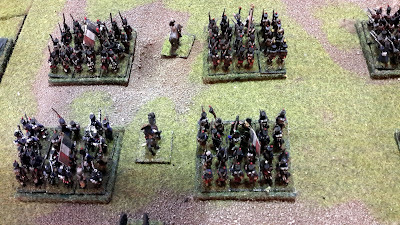 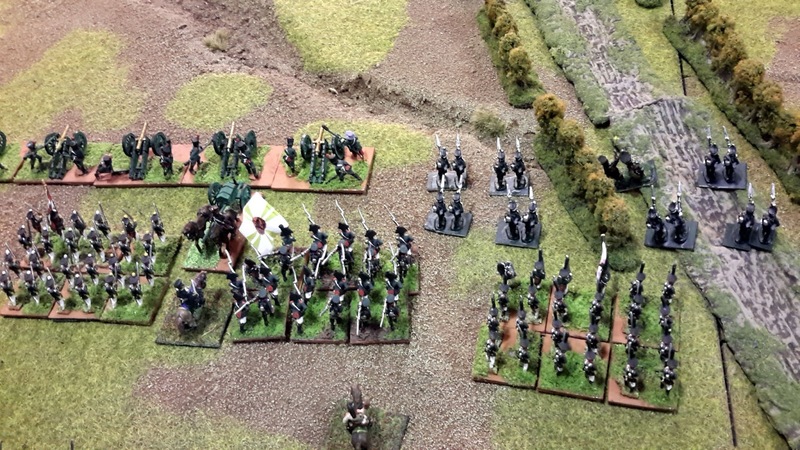 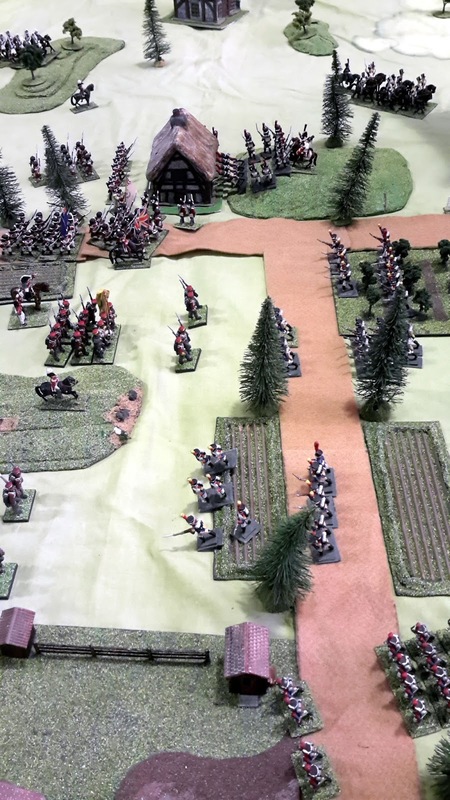 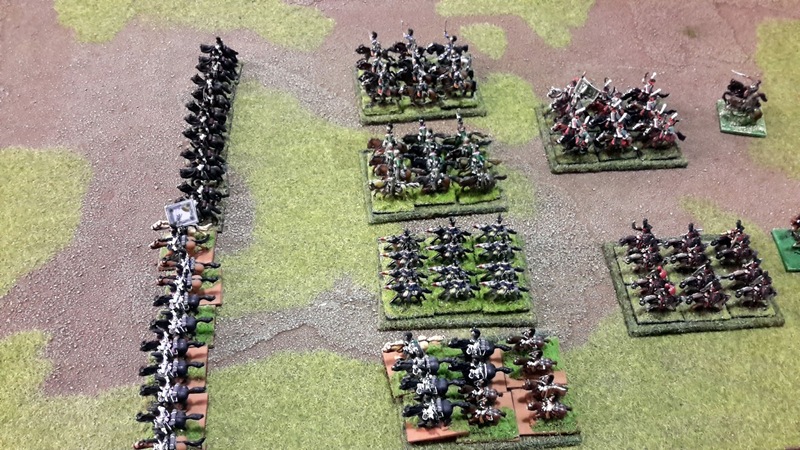 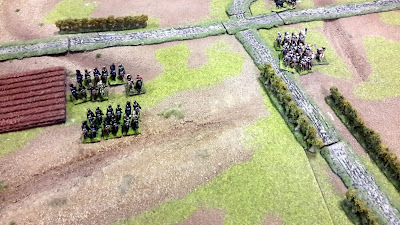 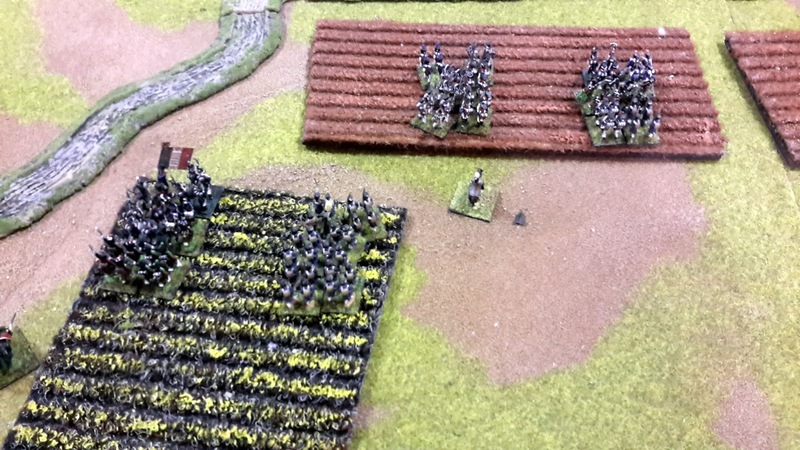 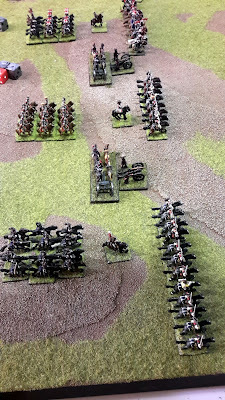 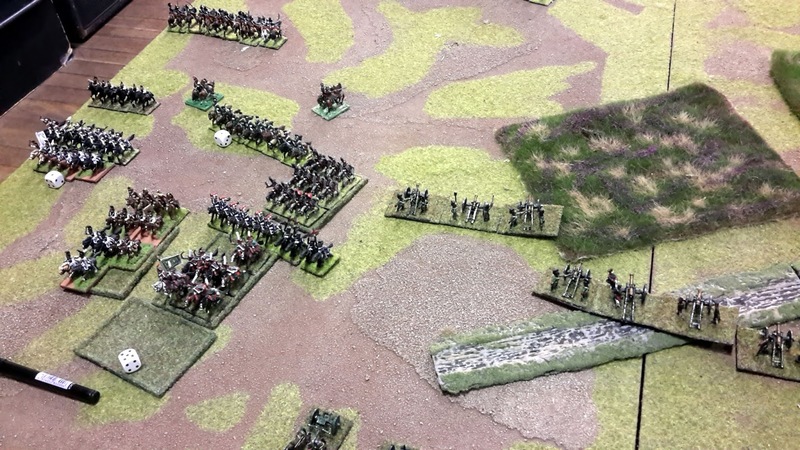 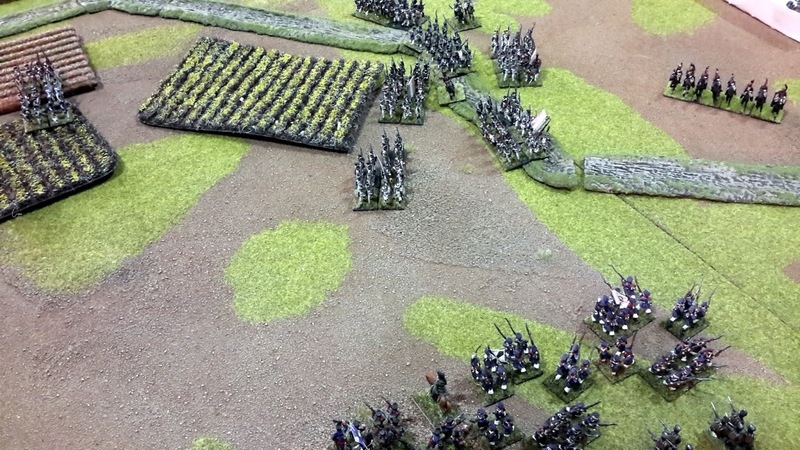 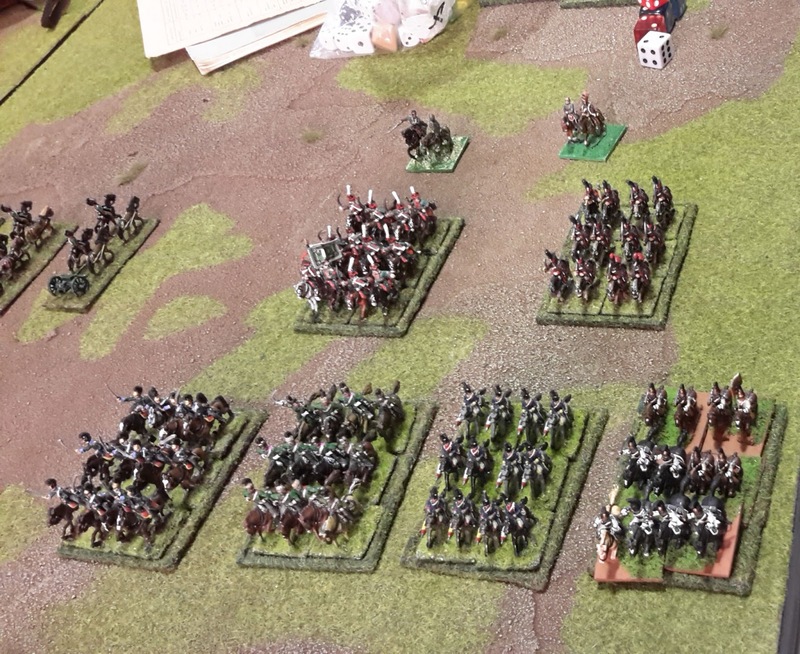 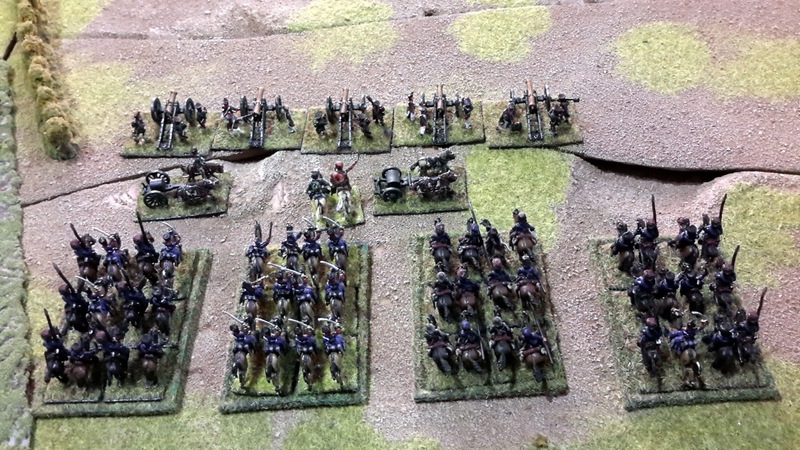 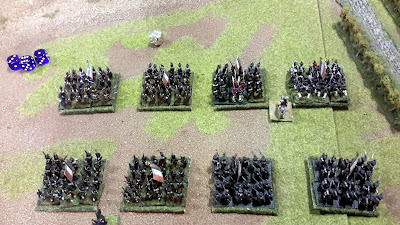 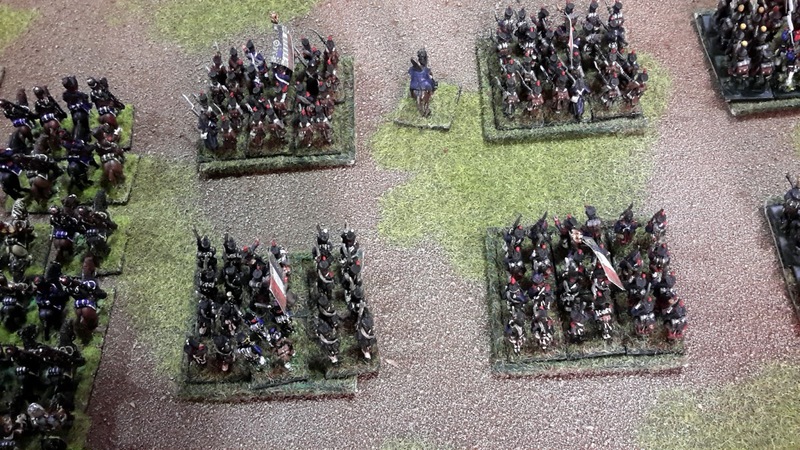 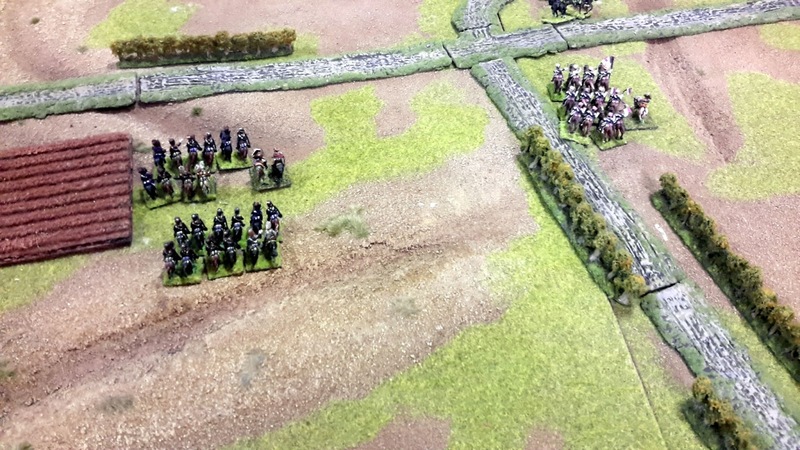 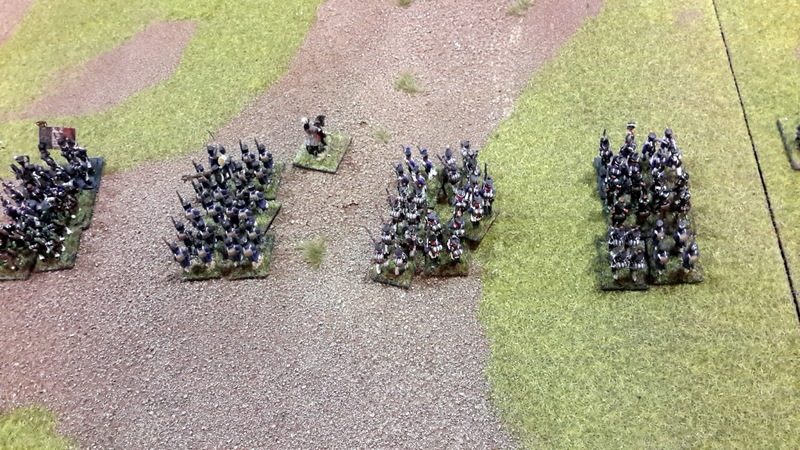 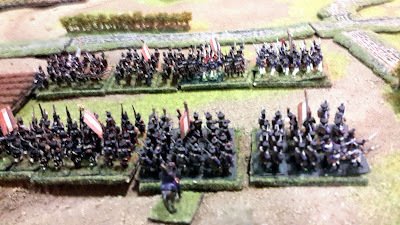 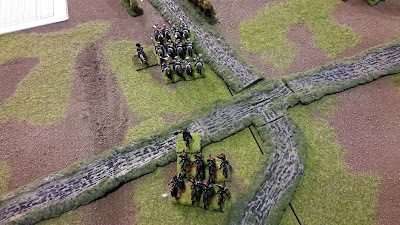 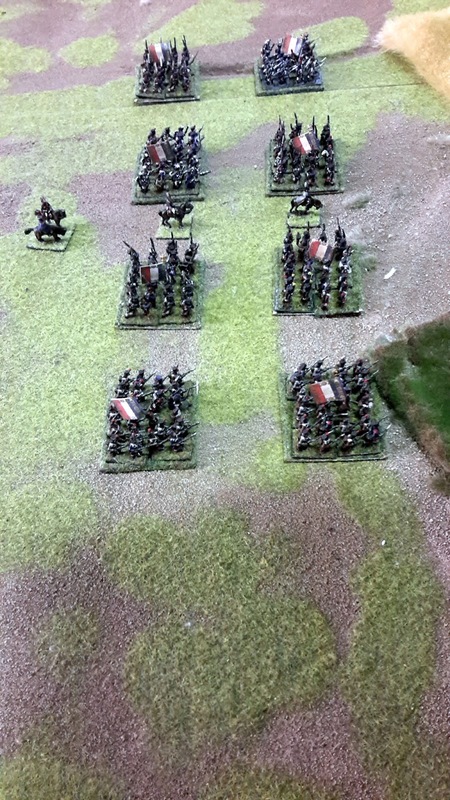 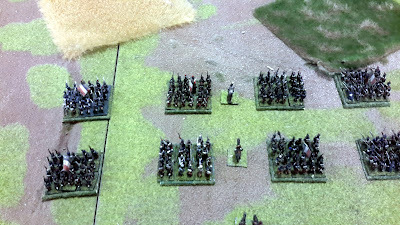 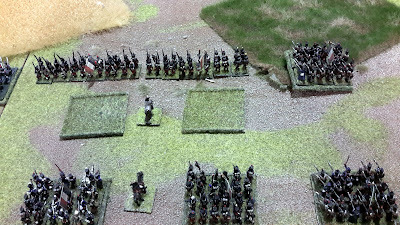 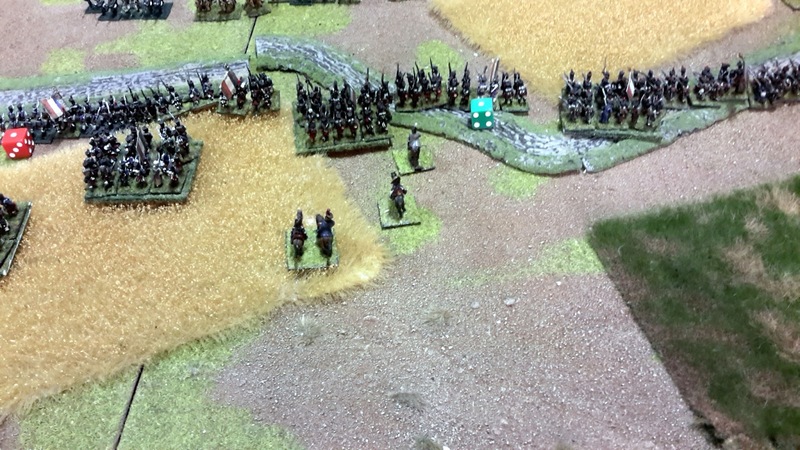 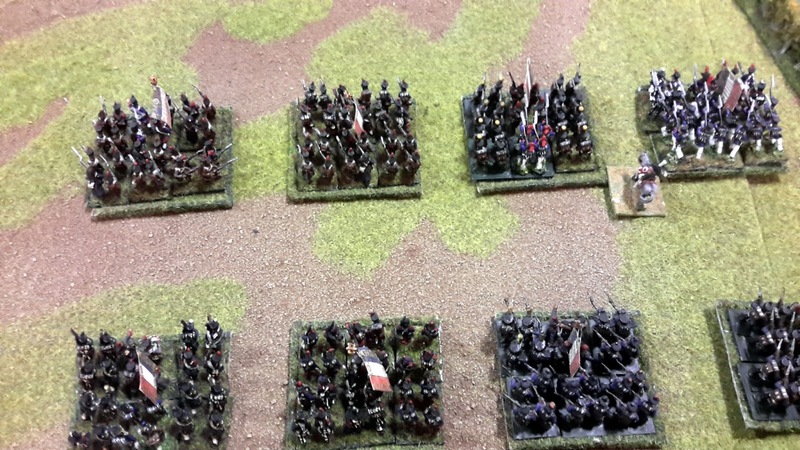 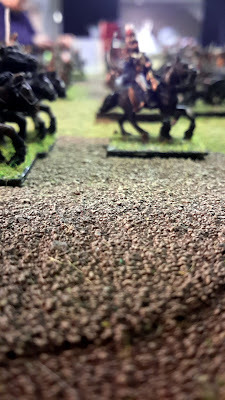 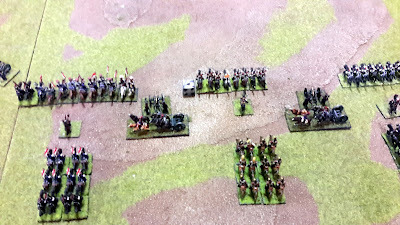 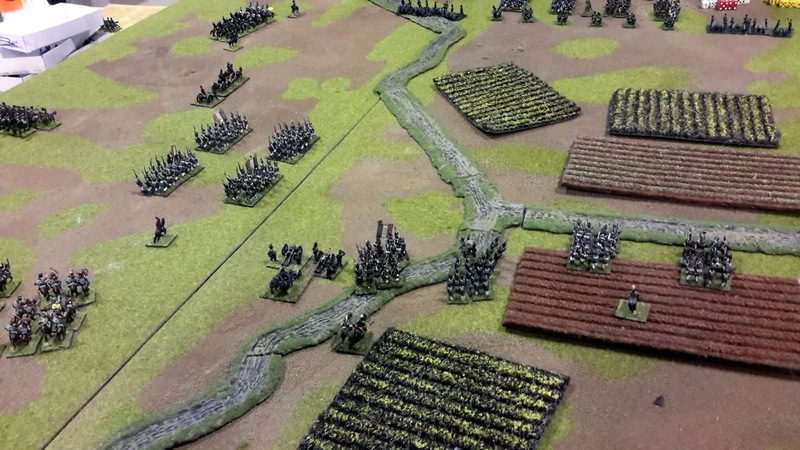 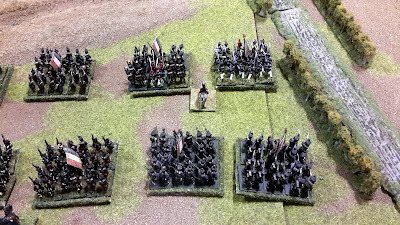 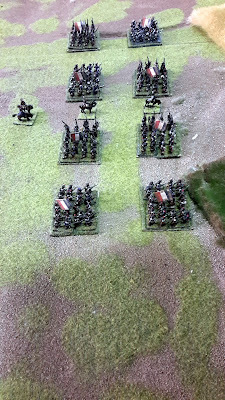 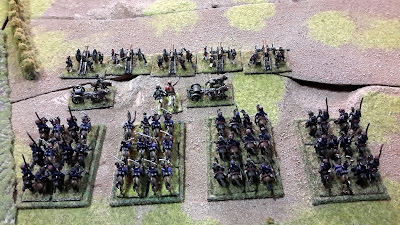 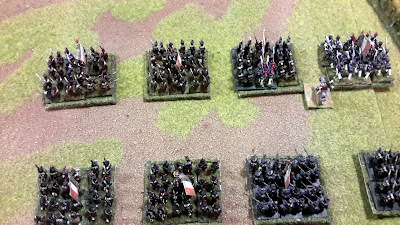 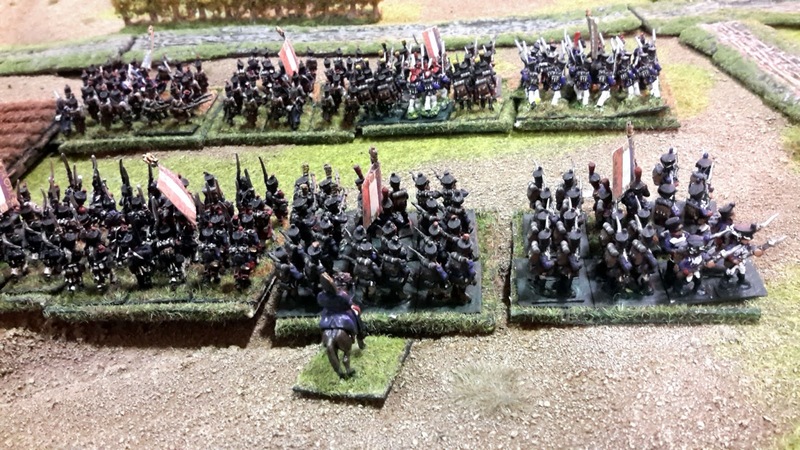 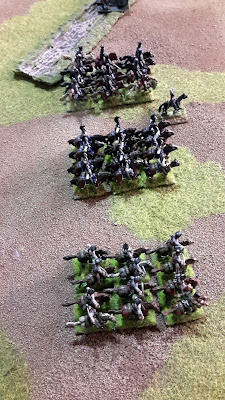 WRG Napoleonic Game in 15 mm. 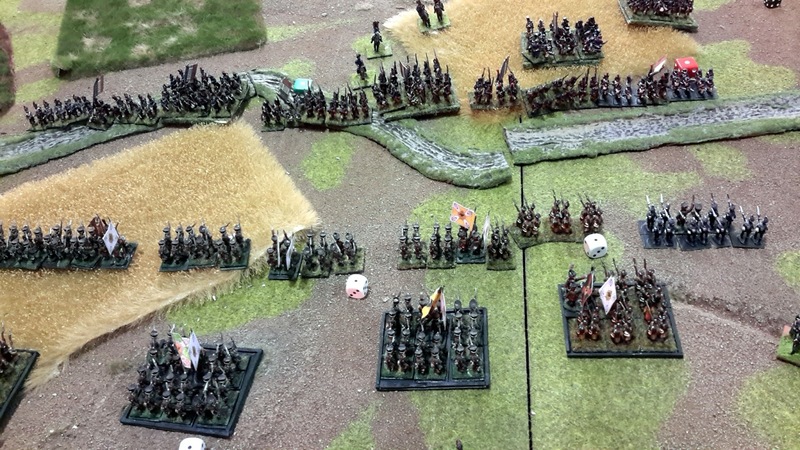 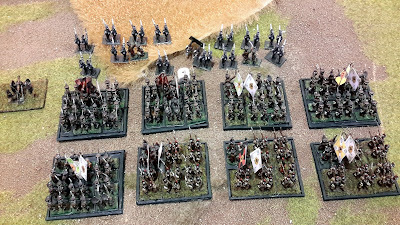 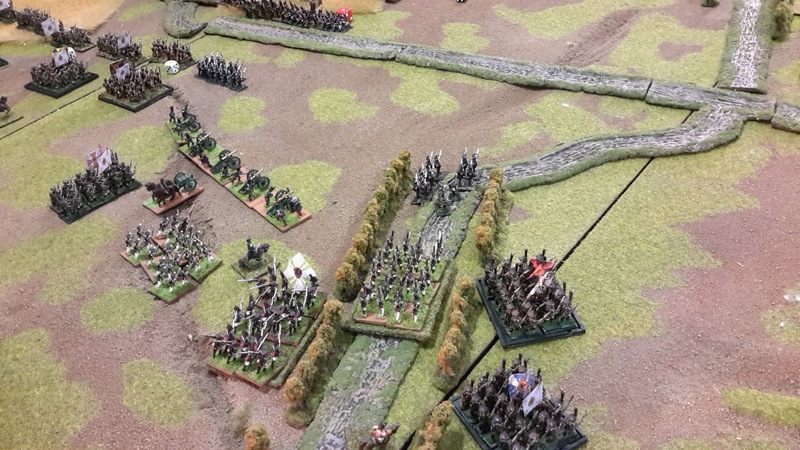 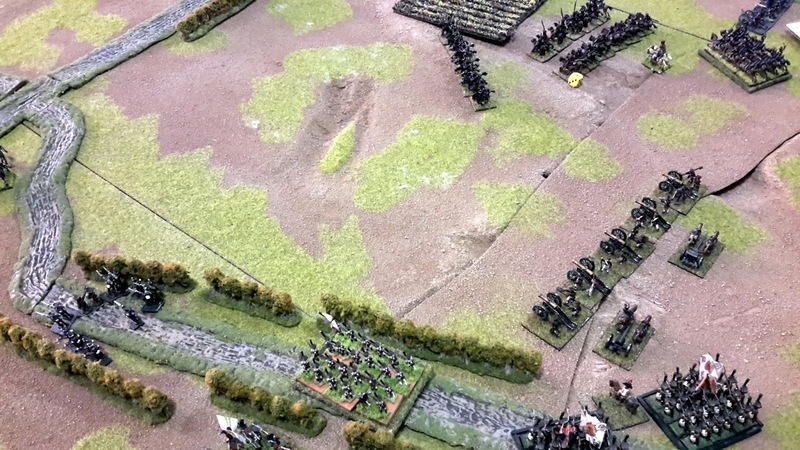 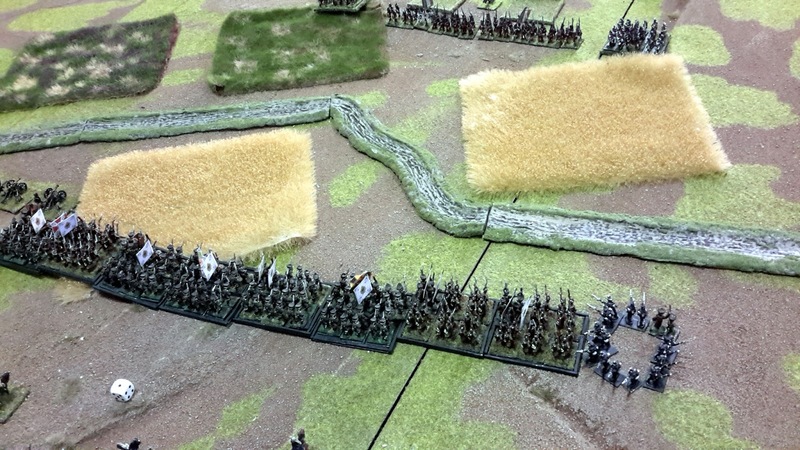 We do not play many 15 mm games, a bit of a shame really. 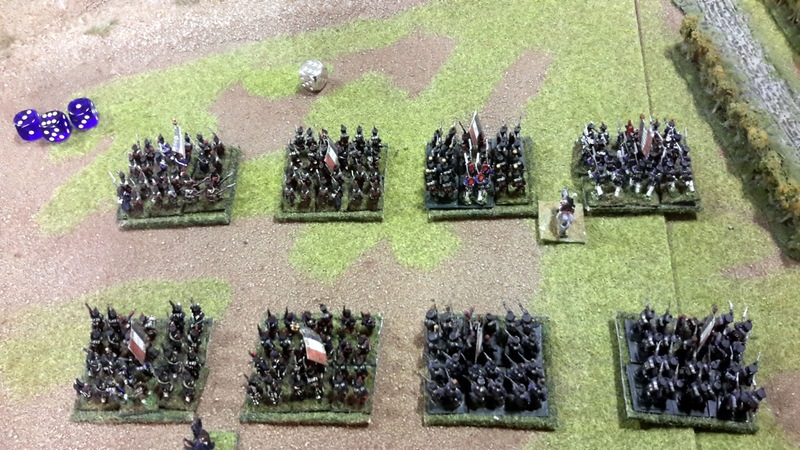 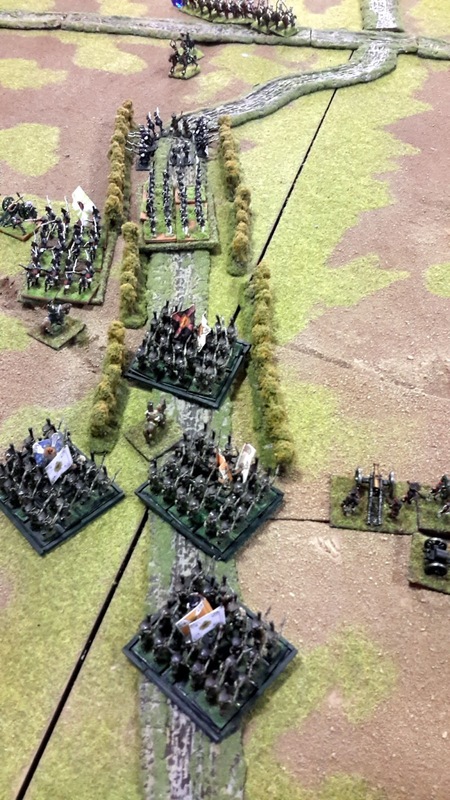 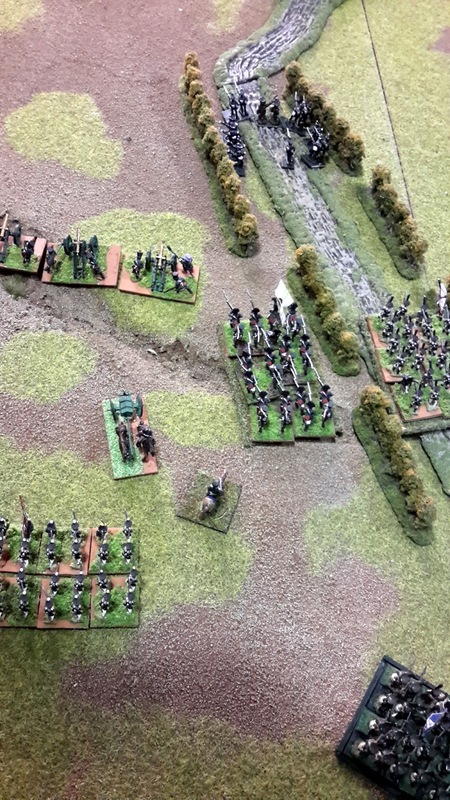 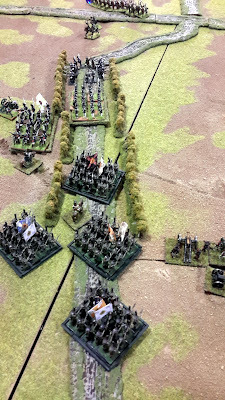 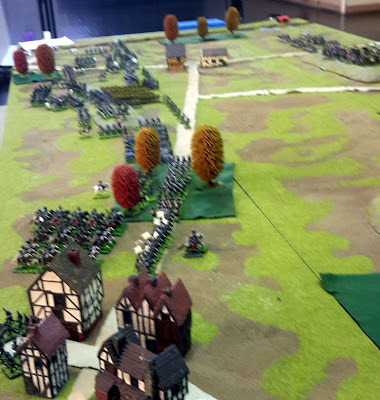 This battle was a Russo-Prussian Corps vs (what else) a French Corps circa 1813. 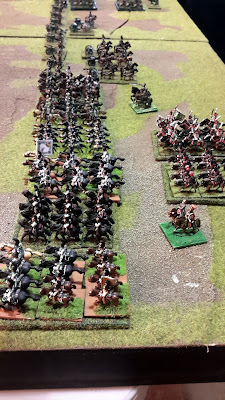 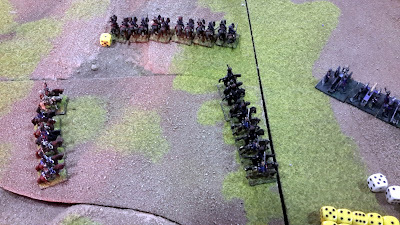 The Prussians (brigade of infantry a brigade of cavalry and two batteries) were on the far Allied right. 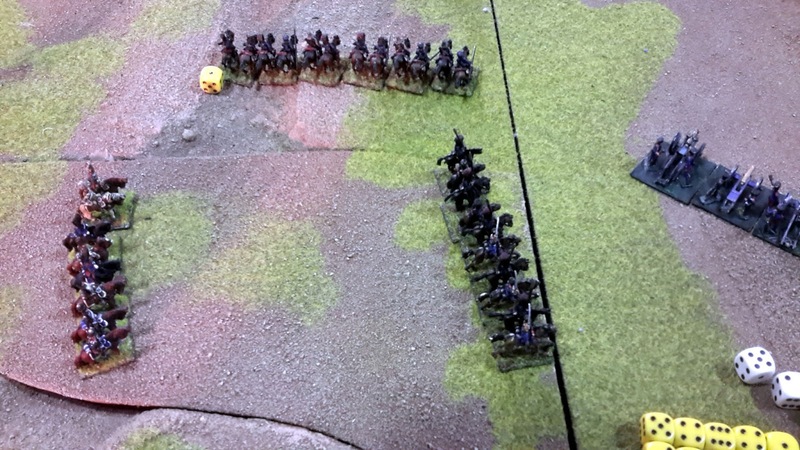 The Russian forces made up the rest of the Allied army. 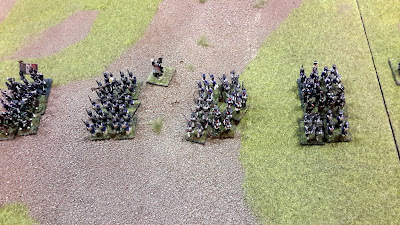 The Allied commanders were Mark L (C-in-C), Michael and Dennis. 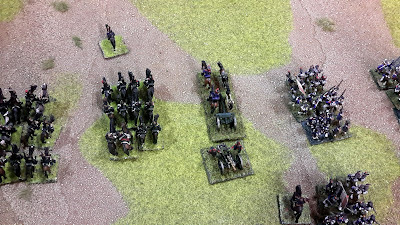 The French commanders Robert (C-in-C), Don and Roy.